Addressing the media after a high-level LDF meeting here, LDF convenor A. Vijayaraghavan claimed that there was a secret pact between the Congress and the BJP/RSS. 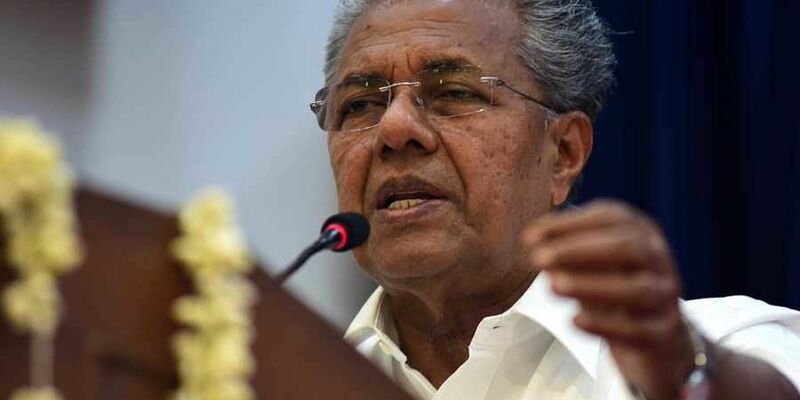 THIRUVANANTHAPURAM: The ruling Left Democratic Front (LDF) on Thursday accused the Congress, the BJP and the RSS of using the Supreme Court ruling allowing women in the 10-50 age group to enter the Sabarimala temple to try to topple the Kerala government. "The attempt to overthrow the Pinarayi Vijayan government by raising the emotions over the Sabarimala verdict is meant to disturb peace in the state," said Vijayaraghavan. He added that the state government was duty bound to implement the apex court directive and it was doing just that. The LDF, led by the Communist Party of India-Marxist (CPI-M), also decided to launch counter political rallies across the state. Also Read | Is the LDF government slow-pedalling on Sabarimala? The first one would be held at Pathanamthitta, the district where the Sabarimala temple is located, on October 16. It would be addressed by Vijayan. On October 24, a rally would be held at Kollam. The LDF will soon decide the dates of rallies in other districts this month. Meanwhile, the BJP is leading a 'long march' to the state capital from Alappuzha which will reach here on October 15. "The state government, if it requests the Centre to bring an ordinance against the verdict, I am sure it will be done," state BJP President P.S. Sreedharan Pillai told the media. In the state capital, BJP youth wing members clashed with the police after they were prevented from entering the official residence of Devasom Minister K. Surendran. Speaking to the media, Surendran said the BJP had hijacked the protests and was now giving political colour to the Sabarimala verdict. "The BJP is trying to recreate what they did during the controversial 'rath yatra'" of 1989, he said. Various Hindu organisations also launched a 'long march' to the state capital from Pandalam and will reach here on October 14 to protest against the state government for not filing a review petition against the apex court verdict. On Monday, Vijayan declared that the Kerala government won't file a review petition against the Supreme Court ruling that women in the age group of 10-50 can also enter the hilltop Sabarimala temple dedicated to Lord Ayyappa.